Rotarypedal til gitar med et spesialdesignet kompressor kretskort som gjør hele pedalen til en meget autentisk simulering. The ultimate rotary speaker emulator packed with goodies like a specially designed compression circuit to supercharge the rotating speaker effect on guitar. 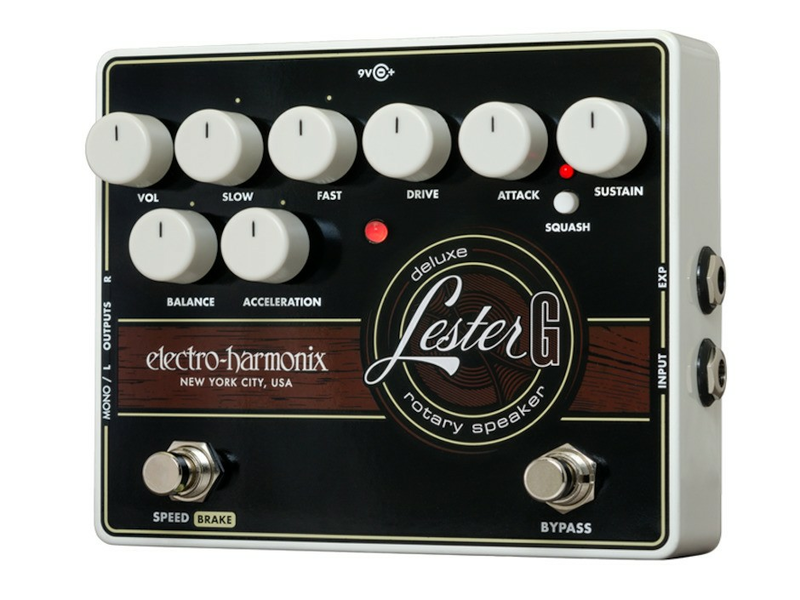 Lester G’s comprehensive controls include fully adjustable tube-style overdrive, Fast and Slow modes and an Acceleration control to dial in the rate at which the effect transitions between speeds. The sound of that giant wood cabinet will now fit on a pedalboard!